I just received a breaking news from Abuja that the APC National leadership has settled for Emma Jime as the rightful APC Governorship Candidate for February elections. According to the information i received,the meeting which ended early hours of today had all the 5 aspirants in attendance except Chief Samuel Ortom and other party leaders from the state. 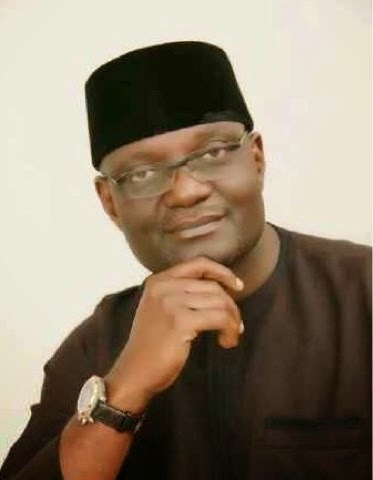 The National body resolved and put to rest controversies surrounding the Governorship ticket,voting took place and most Benue APC members present voted in favor of Jime. The party leadership said preaches internal democracy and abhors injustice therefore,Jime who scored more votes during the brief primaries was given the ticket.I spoke to one of the chieftains (names withheld )who confirmed this to me this morning. With this new development I don’t know how Chief Ortom will take it.For now let’s watch and see how this script plays out in the morning.